Poker software providers learn from Zynga and their poker product! Ever played poker on Facebook? Or on your iPhone? Maybe on MySpace? Or on Yahoo? Then you probably have played on Zynga Poker. 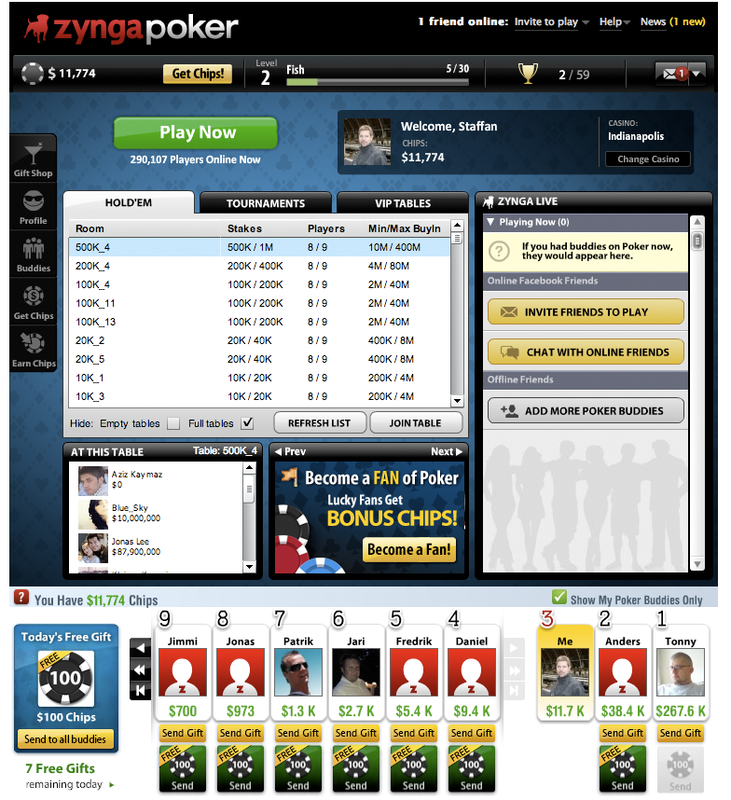 Zynga Poker is a social poker community where you don’t play for real money. But they are doing something right. Right now they have 284,740 players online. Online poker gaming business can learn from Zynga and their poker product. Here are a few things all poker software providers need to address in the coming year or so. Add social features withing your poker portals and poker clients. Make it simple to invite friends, start tables and tournaments for just you and your friends. Send gifts to friends is a great feature for retaining players. Find out ways how this can work in the gaming context. It will be interesting to see who of all poker software providers that will be the first to add some cool and useful social features. I can’t wait!